When I first started exercising, I was quite happy to don my loose track pants and over-sized t-shirts. Today, my mindset has changed and like most women, I feel the need to look good (or presentable at the very least) whilst breaking into a sweat. Now, I am not talking about wearing a thick layer of makeup before you hit the gym (um, EW) but about paying attention to the smaller details that can make a world of difference. Seriously, ladies! I have never quite understood how women work out with the hair loose around their shoulders. More often than not, it ends up flying in their face and looking terribly ridiculous. Before you hit the ground running, tie your hair up into a chic ponytail or trendy sock bun for a hairstyle that is pretty and pragmatic. For some reason, we have come to believe that only loose silhouettes can be comfortable; however, modern workout attire will tell you the exact opposite. One of the easiest ways to look more stylish while exercising is to wear skin-fitting clothes that allow your skin to breathe. Most leading sportswear brands have a great selection of leggings, yoga pants, crop tops and slim fit t-shirts which are ideal. Plus, I find that I am more motivated to get fit when I can clearly see the shape of my body and muscles. 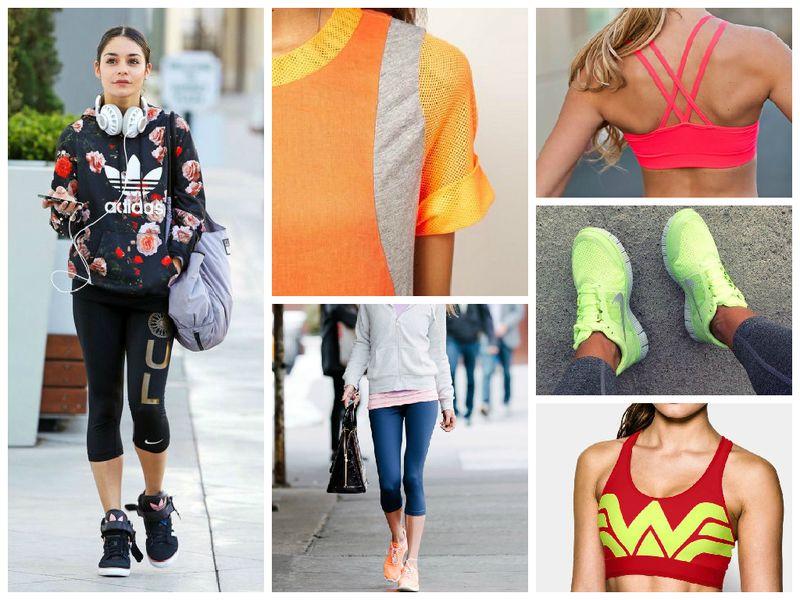 Do not shy away from incorporating fashion trends into your workout wardrobe! Adding a pop of colour to your ensemble is a great way to feel fabulous and motivate yourself to get out of bed everyday. Neon is ultra popular in workout wear right now, as are colours like hot pink, electric blue and parrot green. Another way to add some pizzazz to your look is to find sportswear pieces with fun prints like floral and leopard. Adidas does great lines of sportswear in quirky prints and has definitely become my favourite in the last six months! Sneakers are the crux of your workout ensemble but along with being functional, they should be fashionable. To infuse your look with fun, opt for sneakers in a bright colour or interesting print. Again, Adidas does a great line of quirky sneakers! If you are not ready to go all out with your kicks quite yet, simply switch up the laces of your regular footwear for something that is more fun and fashionable. Once you have completed your workout, it is essential that you throw on a snazzy piece for some post-workout glamour. Just ask your favourite celebrity! Cozy scarves, light jackets and bohemian waistcoats are some of my favourite pieces to throw on when I am leaving the gym. Comfortable and chic – what more does a girl need? 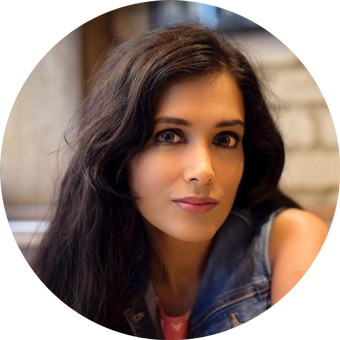 Back to Blogging after a break!